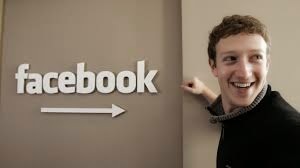 Reuters Facebook CEO Mark Zuckerberg. Facebook has often been regarded as one of the best places to work in the tech industry. The company's interns make $25,000 more than the average citizen. And famously, employees on Glassdoor votedÂ Facebook as one of the best companies in the world to to work for. But how much does Facebook's top boss work? Maybe not as much as you'd expect, according to one longtime Facebook employee . Lee Byron, who has worked in various capacities at Facebook since 2008” data science and more recently, iOS product infrastructure sits near Zuckerberg at Facebook's headquarters, so he shared some knowledge in a Quora thread. Turns out Zuckerberg, who is worth $33.4 billion, works a pretty normal work week. He "often arri ves every morning before I do and is around after dinner working as well," Byron says. "I would say he is in the office roughly 9-10 hours a day, 5 days a week." About 45 or 50 hours a week isn't bad, especially when you're the CEO of a tech company valued at more than $200 billion. Byron adds that Zuck occasionally swings by Facebook HQ on the weekends to check in if there are "particularly exciting projects going on." Of course, he also travels and isn't in the office, but according to Byron, " it seems like it's more likely that his appointments come to our headquarters than vice versa." "I should say that it's great to have him around with regularity and that he chooses to have the same desk set up as everyone else," Byron says. "He takes his job very seriously not just as a businessman but as a leader; he has helped keep our company culture what it is."